What is this thing called Tax Conformity? Taxpayers in the Commonwealth of Virginia generally file their personal income tax returns using the Federal Adjusted Gross Income as a starting point. This method provides for clarity and ease of administration for both taxpayers and the Virginia Department of Taxation. This method of computing Virginia income tax is known as conforming to the Federal AGI and is often referred to as Tax Conformity. All of the above sounds simple enough - with one exception. The Virginia tax code maintains a static conformity - in other words, the Virginia tax code states that it conforms with the Federal tax code as of a certain date. Accordingly, the Virginia General Assembly must review the tax conformity issues each year to determine if the Commonwealth will continue to conform as of the most recent date or if exceptions will be required. With the large changes initiated by the 2017 Federal Tax Cuts and Jobs Act, the General Assembly had a great deal to consider in evaluating Tax Conformity for 2018. With great relief, we are pleased to report that the General Assembly finally passed the required legislation this morning and it is awaiting the Governor's signature. We will be able to begin filing Virginia income tax returns for individuals very soon. 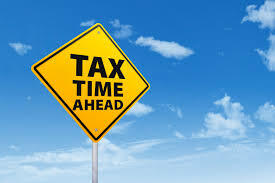 Unfortunately, the current tax conformity will result in a tax increase for certain taxpayers - particularly low to middle income taxpayers that have traditionally itemized their deductions but now find that they will use the higher standard deduction that is now allowed on their Federal returns. As the moving landscape of tax legislation develops, we will continue to watch this area. Struggling with QuickBooks? We can help! In 1983, a couple of young programmers released the initial version of QuickBooks. It was designed to help small business owners with their accounting using the brand new personal computer products. The initial versions were basically clumsy versions of an electronic checkbook. Fast forward 35 years later...QuickBooks is now available in many different versions and serves businesses from the very small to the very large. Just choosing wish version is correct for your business can be overwhelming. Once you purchase and install the software, there are even more choices. QuickBooks has many "wizards" and help tools, but if you are unfamiliar with setting up an accounting system for a business, you may quickly go down the wrong path. 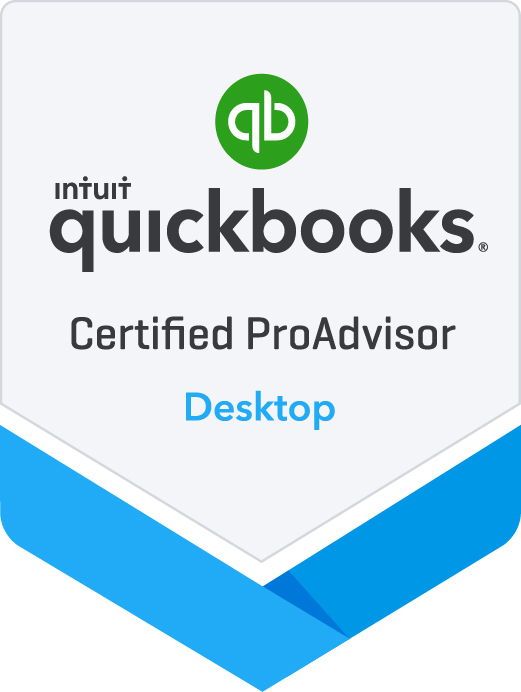 Enter QuickBooks ProAdvisors. These are professional accountants and bookkeepers that have taken special training to assist clients with QuickBooks purchasing, installation and management. Each of our staff members are certified in various versions of the ProAdvisor program and work with many different types of clients on a daily basis. We use QuickBooks in our own business and can help you run your business more effectively. Call us today - we'll help you get started on the right path. Yes, we all love showering our children and grandchildren with fun things to unwrap during the holidays. But, consider reining in those temptations - do they really need another piece of plastic? It's a great time to consider a gift of education using the Virginia529 plans. Those not familiar with the system, often have many concerns. Let's go through a few of those. How stable are the investments? Of course, no investment is risk free, but the Virginia529 system has designed programs that fit the age of your child and become more conservative as they approach their college years. And, for the third year in a row, the program has earned a Gold Star rating from Morningstar. What if my child doesn't attend college? The funds may be used for many purposes, including community college and many vocational or technical programs. Unused funds may also be transferred to another family member. If I save for college, my child will receive less money in financial aid. It's true that financial aid packages look at the resources of the family. If the 529 account is in the child's name, about 20 percent of the funds will be considered for resources. If it is in the parent's name, about 5 percent of the funds will be considered. What is the tax break? The tax break is modest - the important thing is to start saving. But, you do receive a Virginia state tax deduction for the contribution and the investment earnings grow tax free. There are no taxes upon withdrawal when the funds are used for education. So, consider the gift of education...and wrap up a piggy bank to put under the tree! The new Form 1040 is the size of a postcard - but, there's a catch - most people will have to complete lots of new schedules. There are SIX new schedules that will replace the remainder of the traditional Form 1040. The new form will require lots of work for the IRS, tax software companies and tax preparers to prepare for next year's tax filing season. IRS has been busy since the new tax law passed redesigning tax forms and then preparing the necessary instructions and regulations that accompany the new forms. The next step is for tax software companies to update their programs - the sweeping changes this year will require many updates! And then the tax preparers must follow in getting familiar with all the new forms and instructions. Many ask - why such a drastic change? Quite simply, the tax code has outgrown the traditional two-page Form 1040. While Congress has touted the new tax bill as simplification, we all know better. Our firm is looking forward to exploring these new changes and continuing to provide quality tax services for our clients. One important feature that distinguishes CPAs from other tax preparers is the strict requirement to meet licensing standards and complete annual education requirements. Our learning process is ongoing with the constantly changing regulatory requirements, technology improvements and security protection. This year, our professionals are busy attending seminars to decipher the Tax Cuts and Jobs Act passed in December, brushing up on the latest improvements in QuickBooks and other software applications, and reviewing the latest issues in preparing financial statements. Our requirements also include an annual course in Ethics required by the Virginia Board of Accountancy. That's right...the Tax Cuts and Jobs Act of 2017 eliminated the deductions for all client entertainment and modified many of the deductions for meals. While these are legitimate expenses for many businesses, they have long been a target of IRS audits. What is still deductible? The occasional office holiday party or summer picnic that includes all employees is still fully deductible. The quiet client business meal that includes the client and a taxpayer while discussing business matters continues to be a 50 percent deductible expense. And meals provided for the convenience of the employer or during business travel is now a 50 percent deductible expense. Gone are all expenses incurred at sporting events, theaters, country clubs and such. However, many professionals are expecting Congress and the IRS to revisit these policies before year end...so stay tuned! Businesses should review their accounting policies as soon as possible to verify that these expenses are properly recorded and available for review for tax reporting. Please contact our office for suggestions on how to ease into these new reporting requirements. It's the time of year for the barrage of advertisements for free or "inexpensive" tax preparation services. A few years ago, the ads claimed "that it doesn't take a genius to prepare your taxes". This year, the ad includes IBM Watson, indicating that perhaps some degree of genius might be required. Preparing basic tax returns does not require either a genius or Watson. It requires real people that listen to your concerns. It is usually by listening to our clients that we learn of new deductions or new situations that need to be addressed. If your long term planning includes a goal to develop a strong household financial base and develop a good financial acumen, it's time to consider the services of a CPA. Whether you are starting your own business, trying to structure your investment or retirement plans, or just need to talk through your financial situation, you will find that a CPA has the skills that you will need. No, we're probably not all geniuses - but all CPAs are required to pass the rigorous Uniform CPA exam, after completing many years of undergraduate and usually graduate level coursework. On an ongoing basis, we are required to meet certain experience requirements, licensing, and annual continuing education requirements. We are here to listen to your concerns when your spouse passes away or your child is going through a difficult divorce. We enjoy hearing about your your new job, your new grandchild or your latest business dream - because all of that has an impact on your financial goals. Come in...we're open for business...all year. January is a great time to clean out the closets and the desks. Elsewhere on on our site, you will find our record retention guidelines for tax and financial documents. This is a good starting point. Have you considered creating an organized electronic filing system? It's really quite easy and will free you of the burden of organizing, filing and storing paper documents. To start with, think about how you would organize a filing cabinet if you were using paper files. Perhaps you would have a file drawer for each year, and within that drawer, you would have a folder for each company, bank or other type of document. The same theory holds true for filing electronically. Start by creating the folders that will hold the documents that you will be filing. And then, create one additional folder that will temporarily hold the scanned documents. The next step is to invest in a good scanner (which can also serve as a printer/copier). Ideally, you will want one that has both a flatbed scanner and a document feeder. Be sure to set up your scanner to scan as a pdf type document rather than a picture file. Then, ready, set, scan. An easy enough task to do while watching an afternoon movie or game. As the documents are scanned into your temporary scan folder, name them appropriately. Once you have a bunch of documents scanned, simply "file" them into their appropriate folders that you have set up. The next step is to download the documents that you normally receive electronically. Remember, if you ever choose to close a bank or brokerage account, your access will be permanent lost! Again, file these into the appropriate folders that you ahve set up. Once the new system becomes a habit, you will realize how easy this is to maintain. Another advantage is that if you need to refer to a document, it is so easy to find! And, be sure your discarded documents that contain sensitive financial information are shredded before they make their way to the recycle bin. January is a busy month for small businesses - it's housekeeping time! And, it's time to prepare and file Forms 1099 for vendors and subcontractors. Vendors and subcontractors that you pay $600 or more in a calendar year must receive a Form 1099. There are two exemptions - payments to corporations and payments made by credit card. The starting point is to obtain a completed Form W-9 from the vendor or subcontractor. This form collects the necessary information to prepare the Forms 1099. A writeable pdf copy of this form is available at the IRS website - https://www.irs.gov/pub/irs-pdf/fw9.pdf. Steep penalties are imposed for failure to timely file Forms 1099. The penalty depends upon the business situation and the delay in filing, but can be as high as $530 per vendor. In addition, when filing your annual income tax return for the business, the business owner is required to note if they filed all required Forms 1099. Failure to respond to this question correctly is a red flag issue for the IRS. Filing Forms 1099 is one of the regulatory burdens imposed upon small businesses, but it is a process that is here to stay. Call our office today if you need assistance! Do you really know where your charity dollars go? Some charitable organizations do a great job of efficiently getting the dollars to the need. Others have high overhead, big executive salaries and fancy office space. Before you write that check, check the facts at a reliable source such as www.charitynavigator.org. If you wish to deduct your contribution, you should also check their IRS status at https://www.irs.gov/charities-non-profits/search-for-charities. For many of us, 2017 has been a prosperous year. However, there are many still in need - for that consider your local food bank. If you are served by a volunteer rescue or fire group, don't overlook their needs - the cost of providing quality equipment and supplies is great. If you enjoy the art, theatre, or musical presentations, consider them as well - ticket prices are only a small portion of their revenue. Are you suffering from crazy P@s$w0rd rules? Hang in there...the NIST (that's the government agency in charge of telling us how to handle our passwords) is in the process of issuing new recommendations. Gone are the requirements to change your password every 90 days and to use crazy combinations of letters and characters. New recommendations suggest checking your password against an easy to hack list and using a long phrase, such as Ilovemykidsandmydogsnameis nellybecauseiliveinnellysford. Let's hope the software folks catch up on these revisions soon. Now, if we could just get a standard user name protocal, so we wouldn't have to remember so many different user names!! Does your teen have a job this summer? Most teens can claim exempt status on their employee forms (IRS Form W-4 and VA Form VA-4). Claiming exempt status will put more money in their take home check and eliminate the need to file a tax return in the spring to claim a refund. And, this is a great time to introduce your child to the banking system. If they are old enough to work, they are old enough to learn how to manage a bank account. These are important life skills. I have fond memories of my Father proudly taking me to the bank on a regular basis when he would handle his weekly banking and visit with the bank manager, who was a family friend. And, occasionally, my Father would have reason to visit the bank president, who kept a parrot in his office. Allegedly, the parrot was in charge of loan approvals! Once, while away at a summer teen camp far from home in Montana, I was short on funds. As I had always done, I went to the local bank to cash a check (yes, kids, this is before ATMs). When the bank teller politely explained that they didn't accept out of town checks from teenagers, I politely asked to see the bank manager. Again, the bank manager politely explained that they didn't accept out of town checks from teenagers. With full confidence, I simply explained that a phone call to the manager of my local bank would confirm that my check was indeed good. The surprised manager made the call on my behalf and the check was approved! The moral of this little story is that the many years of accompanying my Father to the bank gave me the confidence to handle this situation on my own at the young age of 16. The simple act of including your teen in your financial activities will help them to be confident and financially smart when they are on their own. Are you building or remodeling? A little known tax credit is available for all Virginia residents - the residence does not have to include a person with special needs. Tax credit funds are available in amounts up to $5,000 for various accessibility features. For more information, contact our office or visit the DHCD site at DHCD accessibility information. You may have a refund from the IRS! According to IRS records, there are unclaimed refunds totaling 1 billion for people who failed to file their 2013 returns. If you haven't filed, you have until April 15, 2017 to file a claim to receive your potential 2013 refund. While most folks are getting ready for the holidays, we're busy getting ready for tax season! If you are considering a change in your tax provider, this is the perfect time to contact us for your FREE consultation. If you decide to make a change, we'll have everything set up before we get into our busy tax season. Have you been preparing your own returns? Perhaps you have this uneasy feeling that something isn't quite right or that you are missing out on deductions. It might be time to turn to a CPA. Whatever your concern, we look forward to discussing your needs with you. If your summer plans include a move, be sure to change your address with the IRS. If they send a notice to your old address and you don't respond, it could be a real problem! As with any government interaction, there is a special form for this - Form 8822. Form 8822B is also available for business moves. You can access it at IRS Form 8822. If you are receiving Social Security or Medicare benefits, you can make a change online at www.SSA.gov. Identity Theft - Yes, you too! Sadly, this is no longer an elite group. Many clients are now asking what they can do - either after they have learned of a breach or proactively. First of all, the IRS has some excellent resources. If you have been a victim or meet certain other criteria, you can consider getting an IP Pin for tax filings. They also provide a location now to include your driver's license number in the electronic data filed with your return to provide a secondary layer of identification. Find more on their website at : https://www.irs.gov/uac/Taxpayer-Guide-to-Identity-Theft. Upon request, our firm provides clients with a portal for sending and receiving documents and tax returns. This is more secure and reliable than mail services. You should also consider using electronic account access for your banking and investment accounts. Be sure to save your monthly and annual account statements in pdf form - once the account is closed, the access is closed as well. Finally, there is nothing better than common sense. Be as careful with your financial data as you would with a small child crossing a busy street. Use strong passwords and change them frequently. Scan and save all sensitive documents - shred the paper copies. Back up your computer data frequently and save a backup in your bank deposit box. Look out - a thief is coming your way! This is the time of year that many taxpayers receive what is called a CP2000 letter from our dear folks at the IRS. These letters are a bit scary - usually many pages long with calculations of proposed changes to your tax returns. I'm not sure of the actual statistics, but I would venture to say that at least 90 percent of these notices are inaccurate. The notices are a result of the IRS computers matching the income and deductionsreported on the return with the information reported to them by payers on Forms 1099, W-2, etc. While taxpayers do occassionally overlook an item of income, the usual explanation is that the item was reported elsewhere on the return or in a different amount and the computers aren't smart enough to make the match. The important thing to do with these notices is not to ignore them! They won't go away and tend to get pretty smelly with age. We generally recommend to our clients that they provide us with a limited power of attorney allowing us to communicate with the IRS on their behalf to resolve the issue. To the extent adjustments to the return, a similar adjustment must be reported to the state. This is generally handled via an amended state return. This matching process is now the primary enforcement tool of the IRS. The current audit rate is less than 1 percent of all taxpayers. Those taxpayers that are self-employed or have large incomes have a higher chance of audit than the general population.